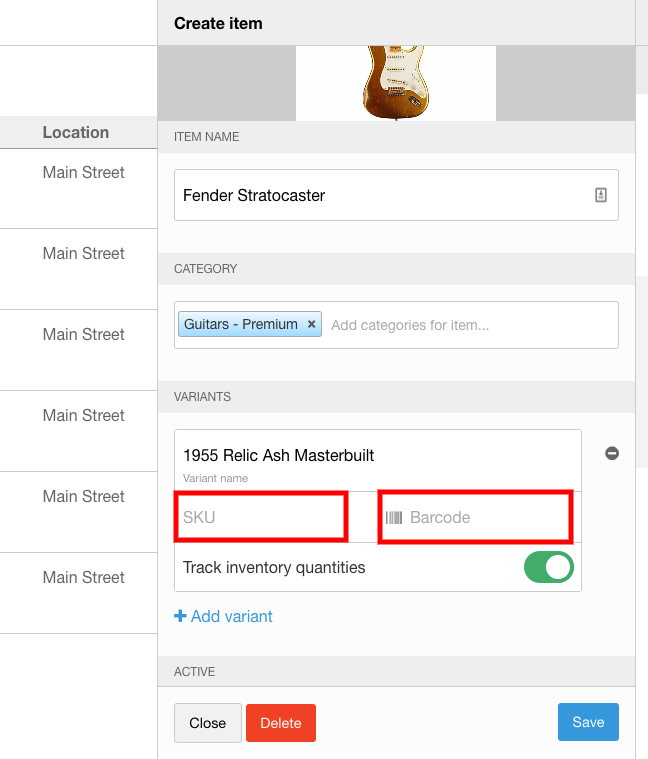 Shopventory can help you track serialized inventory with your existing point of sale. Suppose you have a limited supply of a high-value product. They all have the same barcode, but you'd like to keep track of which individual units are sold. This is where serial numbers come in. The Barcode number can be re-used across different Variants of the same Product. This will be the unified 'Product Code' (sometimes referred to as UPC). All the units of this product can have the same Barcode number. The SKU field must be unique. This is where the serial number can be entered. Shopventory allows you to search by Barcode or SKU. Each entry will have a quantity of 1. 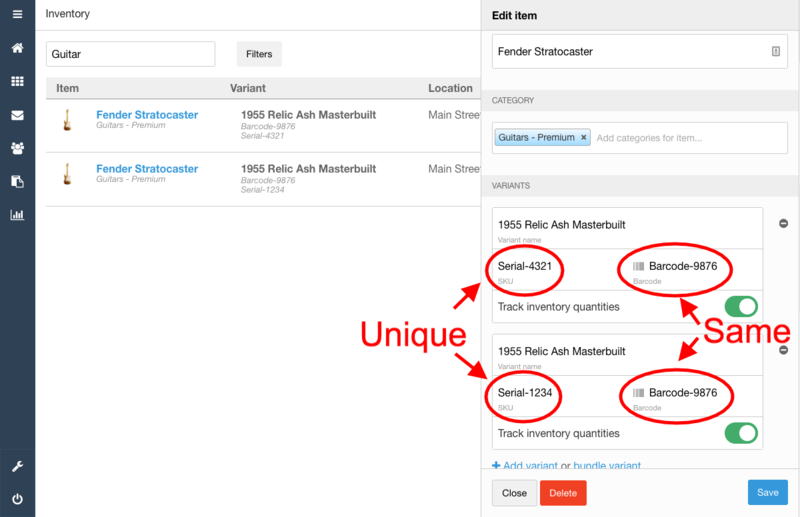 After a serialized Product has been sold and the quantity is adjusted to 0, it can be deleted from inventory so it no longer appears in the inventory list. Shopventory keeps records for all deleted Products. Products deleted from the Inventory section will still appear in all relevant reports. *Not every POS system supports both a SKU and Barcode number. To check yours, learn more here.